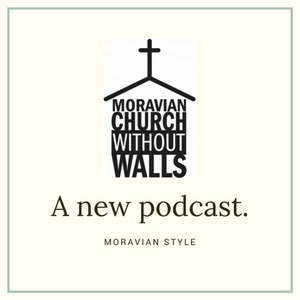 This podcast series focuses on the daily devotional "Moravian Daily Text." Moravian Chuch Without Walls is a creative, collaborative community committed to sharing our faith out beyond the walls of the church! The 2019 Moravian Daily Texts are ©2018 by IBOC Moravian Church in America, used with permission. You can learn more about the Moravian Daily Texts, purchase a printed copy or subscribe to the Daily Texts e-mail by visiting www.moravian.org. Want to be a guest reader on the Podcast? Learn more and sign up today! Visit dailytextpodcast.org. Visit MCWW's website at moraviancww.org. The 2019 Moravian Daily Texts are ©2018 by IBOC Moravian Church in America, used with permission. You can learn more about the Moravian Daily Texts, purchase a printed copy or subscribe to the Daily Texts e-mail by visiting moravian.org. Purchase a printed copy of the 2019 Moravian Daily Text at store.moravian.org. Want to be a guest reader on the Podcast? Learn more and sign up today! Visit dailytextpodcast.org. Visit MCWW's website at moraviancww.org. The 2019 Moravian Daily Texts are ©2018 by IBOC Moravian Church in America, used with permission. You can learn more about the Moravian Daily Texts, purchase a printed copy or subscribe to the Daily Texts e-mail by visiting moravian.org. Purchase a printed copy of the 2019 Moravian Daily Text atstore.moravian.org. Want to be a guest reader on the Podcast? Learn more and sign up today! Visit dailytextpodcast.org.Visit MCWW's website at moraviancww.org. The 2019 Moravian Daily Texts are ©2018 by IBOC Moravian Church in America, used with permission. You can learn more about the Moravian Daily Texts, purchase a printed copy or subscribe to the Daily Texts e-mail by visiting moravian.org. Purchase a printed copy of the 2019 Moravian Daily Text atstore.moravian.org. Do you really want to listen to Dan's "Double Daily Text" podcast? Copy/Paste the link to listen: https://anchor.fm/dan-miller8/episodes/The-Double-Daily-Text-e3kn1j?fbclid=IwAR3HwDlhwYRJvcz2j7ldmHHqBnYEvIlusvJuM58aPSs6W3m_kzoLf9eKSis Want to be a guest reader on the Podcast? Learn more and sign up today! Visit dailytextpodcast.org. Also, visit MCWW's website at moraviancww.org. The 2019 Moravian Daily Texts are ©2018 by IBOC Moravian Church in America, used with permission. You can learn more about the Moravian Daily Texts, purchase a printed copy or subscribe to the Daily Texts e-mail by visiting moravian.org. Purchase a printed copy of the 2019 Moravian Daily Text atstore.moravian.org. Once again, today's guest reader is Mike Riess, the Executive Director of the Interprovincial Board of Communication of the Moravian Church in North America. Want to be a guest reader on the Podcast? Learn more and sign up today! Visit dailytextpodcast.org. Visit MCWW's website at moraviancww.org. The 2019 Moravian Daily Texts are ©2018 by IBOC Moravian Church in America, used with permission. You can learn more about the Moravian Daily Texts, purchase a printed copy or subscribe to the Daily Texts e-mail by visiting moravian.org. Purchase a printed copy of the 2019 Moravian Daily Text at store.moravian.org. Today's guest reader is Mike Riess, Executive Director of the Interprovincial Board of Communication of the Moravian Church in North America. Want to be a guest reader on the Podcast? Learn more and sign up today! Visit dailytextpodcast.org. Visit MCWW's website at moraviancww.org. The 2019 Moravian Daily Texts are ©2018 by IBOC Moravian Church in America, used with permission. You can learn more about the Moravian Daily Texts, purchase a printed copy or subscribe to the Daily Texts e-mail by visiting moravian.org. Purchase a printed copy of the 2019 Moravian Daily Text at store.moravian.org. Today's guest reader is Megan Smock, member of Morongo Moravian Church in Morongo, CA and member of the Western District Executive Board. Want to be a guest reader on the Podcast? Learn more and sign up today! Visit dailytextpodcast.org. Visit MCWW's website at moraviancww.org. The 2019 Moravian Daily Texts are ©2018 by IBOC Moravian Church in America, used with permission. You can learn more about the Moravian Daily Texts, purchase a printed copy or subscribe to the Daily Texts e-mail by visiting moravian.org. Purchase a printed copy of the 2019 Moravian Daily Text at store.moravian.org. Today ? 's guest reader is Megan Smock! Want to be a guest reader on the Podcast? Learn more and sign up today! Visit dailytextpodcast.org. Visit MCWW's website at moraviancww.org. The 2019 Moravian Daily Texts are ©2018 by IBOC Moravian Church in America, used with permission. You can learn more about the Moravian Daily Texts, purchase a printed copy or subscribe to the Daily Texts e-mail by visiting moravian.org. Purchase a printed copy of the 2019 Moravian Daily Text at store.moravian.org. Returning to the show is today's guest reader, Rev. Kurt Liebenow, pastor of Watertown Moravian Church in Watertown, WI. Want to be a guest reader on the Podcast? Learn more and sign up today! Visit dailytextpodcast.org. Visit MCWW's website at moraviancww.org. The 2019 Moravian Daily Texts are ©2018 by IBOC Moravian Church in America, used with permission. You can learn more about the Moravian Daily Texts, purchase a printed copy or subscribe to the Daily Texts e-mail by visiting moravian.org. Purchase a printed copy of the 2019 Moravian Daily Text at store.moravian.org. Today's first-time guest reader is Rev. Dr. Betsy Miller, president of the Provincial Elders Conference of the Moravian Church Northern Province. Want to be a guest reader on the Podcast? Learn more and sign up today! Visit dailytextpodcast.org. Visit MCWW's website at moraviancww.org. The 2019 Moravian Daily Texts are ©2018 by IBOC Moravian Church in America, used with permission. You can learn more about the Moravian Daily Texts, purchase a printed copy or subscribe to the Daily Texts e-mail by visiting moravian.org. Purchase a printed copy of the 2019 Moravian Daily Text at store.moravian.org. The Podcast's 1st Birthday! Want to be a guest reader on the Podcast? Learn more and sign up today! Visit dailytextpodcast.org. Visit MCWW's website at moraviancww.org. The 2019 Moravian Daily Texts are ©2018 by IBOC Moravian Church in America, used with permission. You can learn more about the Moravian Daily Texts, purchase a printed copy or subscribe to the Daily Texts e-mail by visiting moravian.org. Purchase a printed copy of the 2019 Moravian Daily Text at store.moravian.org. Returning to the show today is guest reader Megan Smock, a member of Morongo Moravian Church (CA) and a member of the Executive Board of the Moravian Church Western District. Want to be a guest reader on the Podcast? Learn more and sign up today! Visit dailytextpodcast.org. Visit MCWW's website at moraviancww.org. The 2019 Moravian Daily Texts are ©2018 by IBOC Moravian Church in America, used with permission. You can learn more about the Moravian Daily Texts, purchase a printed copy or subscribe to the Daily Texts e-mail by visiting moravian.org. Purchase a printed copy of the 2019 Moravian Daily Text at store.moravian.org. We have a new guest reader today! She is Blondel Jones Grant, member of United Moravian Church in New York, NY and a member of the Eastern District Executive Board of the Moravian Church. Want to be a guest reader on the Podcast? Learn more and sign up today! Visit dailytextpodcast.org. Visit MCWW's website at moraviancww.org. The 2019 Moravian Daily Texts are ©2018 by IBOC Moravian Church in America, used with permission. You can learn more about the Moravian Daily Texts, purchase a printed copy or subscribe to the Daily Texts e-mail by visiting moravian.org. Purchase a printed copy of the 2019 Moravian Daily Text at store.moravian.org. Back on the show is today's guest reader, Rev. Kurt Liebenow, pastor of Watertown Moravian Church in Watertown, WI. Want to be a guest reader on the Podcast? Learn more and sign up today! Visit dailytextpodcast.org. Visit MCWW's website at moraviancww.org. The 2019 Moravian Daily Texts are ©2018 by IBOC Moravian Church in America, used with permission. You can learn more about the Moravian Daily Texts, purchase a printed copy or subscribe to the Daily Texts e-mail by visiting moravian.org. Purchase a printed copy of the 2019 Moravian Daily Text at store.moravian.org. Thanks to Bishop Chris Giesler and Bishop Sam Gray for being our guest readers on the Podcast today! "Bishop Banter - Episode 2" Want to be a guest reader on the Podcast? Learn more and sign up today! Visit dailytextpodcast.org. Visit MCWW's website at moraviancww.org. The 2019 Moravian Daily Texts are ©2018 by IBOC Moravian Church in America, used with permission. You can learn more about the Moravian Daily Texts, purchase a printed copy or subscribe to the Daily Texts e-mail by visiting moravian.org. Purchase a printed copy of the 2019 Moravian Daily Text at store.moravian.org. Thanks to Bishop Chris Giesler and Bishop Sam Gray for being our guest readers on the Podcast today! "Bishop Banter - Episode 1" Want to be a guest reader on the Podcast? Learn more and sign up today! Visit dailytextpodcast.org. Visit MCWW's website at moraviancww.org. The 2019 Moravian Daily Texts are ©2018 by IBOC Moravian Church in America, used with permission. You can learn more about the Moravian Daily Texts, purchase a printed copy or subscribe to the Daily Texts e-mail by visiting moravian.org. Purchase a printed copy of the 2019 Moravian Daily Text at store.moravian.org. Today's guest reader is Megan Smock, member of the Western District Executive Board, Moraivan Church and Morongo Moravian Church in California. Want to be a guest reader on the Podcast? Learn more and sign up today! Visit dailytextpodcast.org. Visit MCWW's website at moraviancww.org. The 2019 Moravian Daily Texts are ©2018 by IBOC Moravian Church in America, used with permission. You can learn more about the Moravian Daily Texts, purchase a printed copy or subscribe to the Daily Texts e-mail by visiting moravian.org. Purchase a printed copy of the 2019 Moravian Daily Text at store.moravian.org. Today's guest reader is Amy Linville, member of Millwoods Community (Moravian) Church in Edmonton, Alberta, Canada. Want to be a guest reader on the Podcast? Learn more and sign up today! Visit dailytextpodcast.org. Visit MCWW's website at moraviancww.org. The 2019 Moravian Daily Texts are ©2018 by IBOC Moravian Church in America, used with permission. You can learn more about the Moravian Daily Texts, purchase a printed copy or subscribe to the Daily Texts e-mail by visiting moravian.org. Purchase a printed copy of the 2019 Moravian Daily Text at store.moravian.org. Returning to the show is guest reader Rev. Kurt Liebenow, pastor of Watertown Moravian Church in Watertown, WI. Want to be a guest reader on the Podcast? Learn more and sign up today! Visit dailytextpodcast.org. Visit MCWW's website at moraviancww.org. The 2019 Moravian Daily Texts are ©2018 by IBOC Moravian Church in America, used with permission. You can learn more about the Moravian Daily Texts, purchase a printed copy or subscribe to the Daily Texts e-mail by visiting moravian.org. Purchase a printed copy of the 2019 Moravian Daily Text at store.moravian.org. Returning to the show today is guest reader Laura Watson, Director of Stewardship and Development Services for the Moravian Ministries Foundation and member of Home Moravian in Winston-Salem, NC. Want to be a guest reader on the Podcast? Learn more and sign up today! Visit dailytextpodcast.org. Visit MCWW's website at moraviancww.org. The 2019 Moravian Daily Texts are ©2018 by IBOC Moravian Church in America, used with permission. You can learn more about the Moravian Daily Texts, purchase a printed copy or subscribe to the Daily Texts e-mail by visiting moravian.org. Purchase a printed copy of the 2019 Moravian Daily Text at store.moravian.org. Today's guest reader is Megan Smock. Megan is a member of the Western District Executive Board and Morongo Moravian Church in California. Want to be a guest reader on the Podcast? Learn more and sign up today! Visit dailytextpodcast.org. Visit MCWW's website at moraviancww.org. The 2019 Moravian Daily Texts are ©2018 by IBOC Moravian Church in America, used with permission. You can learn more about the Moravian Daily Texts, purchase a printed copy or subscribe to the Daily Texts e-mail by visiting moravian.org. Purchase a printed copy of the 2019 Moravian Daily Text at store.moravian.org. Thanks to Rev. Kurt Liebenow, Pastor of the Watertown Moravian Church in Watertown, WI for being our guest reader for today! Want to be a guest reader on the Podcast? Learn more and sign up today! Visit dailytextpodcast.org.Visit MCWW's website at moraviancww.org. The 2019 Moravian Daily Texts are ©2018 by IBOC Moravian Church in America, used with permission. You can learn more about the Moravian Daily Texts, purchase a printed copy or subscribe to the Daily Texts e-mail by visiting moravian.org. Purchase a printed copy of the 2019 Moravian Daily Text atstore.moravian.org. Your Daily Text for the day! Want to be a guest reader on the Podcast? Sign up today! Visit dailytextpodcast.org. Visit MCWW's website at moraviancww.org. The 2019 Moravian Daily Texts are ©2018 by IBOC Moravian Church in America, used with permission. You can learn more about the Moravian Daily Texts, purchase a printed copy or subscribe to the Daily Texts e-mail by visiting www.moravian.org. Purchase a printed copy of the 2019 Moravian Daily Text at store.moravian.org. Guest reader Megan Smock, member of the Western District Executive Board. Recorded live at Camp Hope at the Senior High Retreat! (Song: "Love Will Find You" - Brad Bennet, found in "Sing to the Lord A New Song" songbook, produced by the IBOC Moravian Church.) Want to be a guest reader on the Podcast? Sign up today! Visit dailytextpodcast.org. Visit MCWW's website at moraviancww.org. The 2019 Moravian Daily Texts are ©2018 by IBOC Moravian Church in America, used with permission. You can learn more about the Moravian Daily Texts, purchase a printed copy or subscribe to the Daily Texts e-mail by visiting www.moravian.org. Purchase a printed copy of the 2019 Moravian Daily Text at store.moravian.org. Today's guest reader is Chris Spaugh, President of the Moravian Ministries Foundation in America. Want to be a guest reader on the Podcast? Sign up today! Visit dailytextpodcast.org. Visit MCWW's website at moraviancww.org. The 2019 Moravian Daily Texts are ©2018 by IBOC Moravian Church in America, used with permission. You can learn more about the Moravian Daily Texts, purchase a printed copy or subscribe to the Daily Texts e-mail by visiting www.moravian.org. Purchase a printed copy of the 2019 Moravian Daily Text at store.moravian.org. Our guest reader today is Rev. Rebecca Craver of the Edmonton Moravian Church in Alberta, Canada. Want to be a guest reader on the Podcast? Sign up today! Visit dailytextpodcast.org. Visit MCWW's website at moraviancww.org. The 2018 Moravian Daily Texts are ©2017 by IBOC Moravian Church in America, used with permission. You can learn more about the Moravian Daily Texts, purchase a printed copy or subscribe to the Daily Texts e-mail by visiting www.moravian.org. Purchase a printed copy of the 2019 Moravian Daily Text at store.moravian.org. Returning to the show, today's guest reader is Laura Watson, member of Home Moravian church in Winston-Salem, NC. Want to be a guest reader on the Podcast? Sign up today! Visit dailytextpodcast.org. Visit MCWW's website at moraviancww.org. The 2018 Moravian Daily Texts are ©2017 by IBOC Moravian Church in America, used with permission. You can learn more about the Moravian Daily Texts, purchase a printed copy or subscribe to the Daily Texts e-mail by visiting www.moravian.org. Purchase a printed copy of the 2019 Moravian Daily Text at store.moravian.org. Want to be a guest reader on the Podcast? Sign up today! Visit dailytextpodcast.org. Visit MCWW's website at moraviancww.org. The 2018 Moravian Daily Texts are ©2017 by IBOC Moravian Church in America, used with permission. You can learn more about the Moravian Daily Texts, purchase a printed copy or subscribe to the Daily Texts e-mail by visiting www.moravian.org. Purchase a printed copy of the 2019 Moravian Daily Text at store.moravian.org. Thanks to a wonderful duet of Kurt and Kathy Liebenow for their unique shared reflection! Want to be a guest reader on the Podcast? Sign up today! Visit dailytextpodcast.org. Visit MCWW's website at moraviancww.org. The 2018 Moravian Daily Texts are ©2017 by IBOC Moravian Church in America, used with permission. You can learn more about the Moravian Daily Texts, purchase a printed copy or subscribe to the Daily Texts e-mail by visiting www.moravian.org. Purchase a printed copy of the 2019 Moravian Daily Text at store.moravian.org. Special double reflection episode! Our guests readers today are Rev. Kurt Liebenow of Watertown Moravian Church in Watertown, WI and Rev. Rebecca Craver of Edmonton Moravian Church in Alberta, Canada. Want to be a guest reader on the Podcast? Sign up today! Visit dailytextpodcast.org. Visit MCWW's website at moraviancww.org. The 2018 Moravian Daily Texts are ©2017 by IBOC Moravian Church in America, used with permission. You can learn more about the Moravian Daily Texts, purchase a printed copy or subscribe to the Daily Texts e-mail by visiting www.moravian.org. Purchase a printed copy of the 2019 Moravian Daily Text at store.moravian.org. Thanks to Rev. Kurt Liebenow of Watertown Moravian Church for being our guest reader today! Want to be a guest reader on the Podcast? Sign up today! Visit dailytextpodcast.org. Visit MCWW's website at moraviancww.org. The 2018 Moravian Daily Texts are ©2017 by IBOC Moravian Church in America, used with permission. You can learn more about the Moravian Daily Texts, purchase a printed copy or subscribe to the Daily Texts e-mail by visiting www.moravian.org. Purchase a printed copy of the 2019 Moravian Daily Text at store.moravian.org. A special bonus episode of the Daily Text, and a second reflection on the verses for today, the 19th of December, 2018. Sometimes... there is just a lot to reflect on... and sometimes, scheduling a daily podcast leads to a scheduling error where we are gifted with double reflections! You can decide which is which today! Thanks to Rev. Kurt Liebenow for being our guest reader today! Today's guest reader is Rev. Peg Chemberlin, retired clergy and member of Waconia Moravian Church in Waconia, MN. Want to be a guest reader on the Podcast? Sign up today! Visit dailytextpodcast.org. Visit MCWW's website at moraviancww.org. The 2018 Moravian Daily Texts are ©2017 by IBOC Moravian Church in America, used with permission. You can learn more about the Moravian Daily Texts, purchase a printed copy or subscribe to the Daily Texts e-mail by visiting www.moravian.org. Purchase a printed copy of the 2019 Moravian Daily Text at store.moravian.org. Our guest reader today is Rev. Kurt Liebenow of the Watertown Moravian Church in Wisconsin. Want to be a guest reader on the Podcast? Sign up today! Visit dailytextpodcast.org. Visit MCWW's website at moraviancww.org. The 2018 Moravian Daily Texts are ©2017 by IBOC Moravian Church in America, used with permission. You can learn more about the Moravian Daily Texts, purchase a printed copy or subscribe to the Daily Texts e-mail by visiting www.moravian.org. Purchase a printed copy of the 2019 Moravian Daily Text at store.moravian.org. Our guest reader today is Johanna Heft, member of Edgeboro Moravian Church. Want to be a guest reader on the Podcast? Sign up today! Visit dailytextpodcast.org. Visit MCWW's website at moraviancww.org. The 2018 Moravian Daily Texts are ©2017 by IBOC Moravian Church in America, used with permission. You can learn more about the Moravian Daily Texts, purchase a printed copy or subscribe to the Daily Texts e-mail by visiting www.moravian.org. Purchase a printed copy of the 2019 Moravian Daily Text at store.moravian.org. Today's guest reader is Ruth Cole Burcaw, Executive Director of the Board of Cooperative Ministries (BCM) of the Moravian Church Southern Province. Want to be a guest reader on the Podcast? Sign up today! Visit dailytextpodcast.org. Visit MCWW's website at moraviancww.org. The 2018 Moravian Daily Texts are ©2017 by IBOC Moravian Church in America, used with permission. You can learn more about the Moravian Daily Texts, purchase a printed copy or subscribe to the Daily Texts e-mail by visiting www.moravian.org. Purchase a printed copy of the 2019 Moravian Daily Text at store.moravian.org. Our 250th episode - and only the 3rd time Dan & Justin have been in the same room to record! Want to be a guest reader on the Podcast? Sign up today! Visit dailytextpodcast.org. Visit MCWW's website at moraviancww.org. The 2018 Moravian Daily Texts are ©2017 by IBOC Moravian Church in America, used with permission. You can learn more about the Moravian Daily Texts, purchase a printed copy or subscribe to the Daily Texts e-mail by visiting www.moravian.org. Purchase a printed copy of the 2019 Moravian Daily Text at store.moravian.org. Thanks to the Rt. Rev. Chris Giesler for being our guest reader on the Podcast today! If you like what you hear (and we at MCWW certainly do!) then visit his website to get a weekly devotion: https://dailyprayersformoravians.wordpress.com/ Want to be a guest reader on the Podcast? Sign up today! Visit dailytextpodcast.org. Visit MCWW's website at moraviancww.org. The 2018 Moravian Daily Texts are ©2017 by IBOC Moravian Church in America, used with permission. You can learn more about the Moravian Daily Texts, purchase a printed copy or subscribe to the Daily Texts e-mail by visiting www.moravian.org. Purchase a printed copy of the 2019 Moravian Daily Text at store.moravian.org. Today's guest reader is Kurt Liebenow, pastor of the Watertown Moravian Church in Watertown, WI. Want to be a guest reader on the Podcast? Sign up today! Visit dailytextpodcast.org. Visit MCWW's website at moraviancww.org. The 2018 Moravian Daily Texts are ©2017 by IBOC Moravian Church in America, used with permission. You can learn more about the Moravian Daily Texts, purchase a printed copy or subscribe to the Daily Texts e-mail by visiting www.moravian.org. Purchase a printed copy of the 2019 Moravian Daily Text at store.moravian.org. Today's guest reader is Beth Rohn-Habhegger, pastor of the Canaan Moravian Church in rural Davenport, North Dakota. Want to be a guest reader on the Podcast? Sign up today! Visit dailytextpodcast.org. Visit MCWW's website at moraviancww.org. The 2018 Moravian Daily Texts are ©2017 by IBOC Moravian Church in America, used with permission. You can learn more about the Moravian Daily Texts, purchase a printed copy or subscribe to the Daily Texts e-mail by visiting www.moravian.org. Purchase a printed copy of the 2019 Moravian Daily Text at store.moravian.org. Today's NEW guest reader is Ginny Tobiassen, pastor of Home Moravian Church in Winston-Salem, NC. Want to be a guest reader on the Podcast? Sign up today! Visit dailytextpodcast.org. Visit MCWW's website at moraviancww.org. The 2018 Moravian Daily Texts are ©2017 by IBOC Moravian Church in America, used with permission. You can learn more about the Moravian Daily Texts, purchase a printed copy or subscribe to the Daily Texts e-mail by visiting www.moravian.org. Purchase a printed copy of the 2019 Moravian Daily Text at store.moravian.org. Today's guest reader is Rebecca Craver, pastor of Edmonton Moravian Church in Edmonton, Alberta, Canada and the co-host of the podcast "Create In Me". Want to be a guest reader on the Podcast? Sign up today! Visit dailytextpodcast.org. Visit MCWW's website at moraviancww.org. The 2018 Moravian Daily Texts are ©2017 by IBOC Moravian Church in America, used with permission. You can learn more about the Moravian Daily Texts, purchase a printed copy or subscribe to the Daily Texts e-mail by visiting www.moravian.org. Purchase a printed copy of the 2019 Moravian Daily Text at store.moravian.org. A previous episode lost in cyberspace is now found! This episode's guest reader is Rex Knowlton, treasurer of the Board of World Mission of the Moravian Church. Want to be a guest reader on the Podcast? Sign up today! Visit dailytextpodcast.org. Visit MCWW's website at moraviancww.org. The 2018 Moravian Daily Texts are ©2017 by IBOC Moravian Church in America, used with permission. You can learn more about the Moravian Daily Texts, purchase a printed copy or subscribe to the Daily Texts e-mail by visiting www.moravian.org. Purchase a printed copy of the 2019 Moravian Daily Text at store.moravian.org. Happy Thanksgiving! Want to be a guest reader on the Podcast? Sign up today! Visit dailytextpodcast.org. Visit MCWW's website at moraviancww.org. The 2018 Moravian Daily Texts are ©2017 by IBOC Moravian Church in America, used with permission. You can learn more about the Moravian Daily Texts, purchase a printed copy or subscribe to the Daily Texts e-mail by visiting www.moravian.org. Purchase a printed copy of the 2019 Moravian Daily Text at store.moravian.org. Want to be a guest reader on the Podcast? Sign up today! Visit dailytextpodcast.org. Visit MCWW's website at moraviancww.org. The 2018 Moravian Daily Texts are ©2017 by IBOC Moravian Church in America, used with permission. You can learn more about the Moravian Daily Texts, purchase a printed copy or subscribe to the Daily Texts e-mail by visiting www.moravian.org. Our guest reader today is Rev. Rebecca Craver, Pastor of Edmonton Moravian Church in Edmonton, Alberta, Canada. Rebecca is a co-host for the new worship podcast called "Create In Me." Find it here: https://anchor.fm/createinme Want to be a guest reader on the Podcast? Sign up today! Visit dailytextpodcast.org. Visit MCWW's website at moraviancww.org. The 2018 Moravian Daily Texts are ©2017 by IBOC Moravian Church in America, used with permission. You can learn more about the Moravian Daily Texts, purchase a printed copy or subscribe to the Daily Texts e-mail by visiting www.moravian.org. 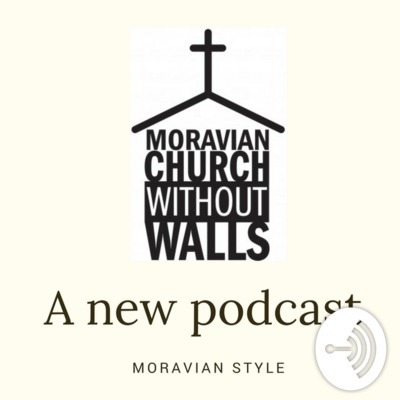 Our guest reader this episode is Laura Watson, Director of Stewardship and Development Services for the Moravian Ministries Foundation and member of Home Moravian Church in Winston-Salem, NC. Want to be a guest reader on the Podcast? Sign up today! Visit dailytextpodcast.org. Visit MCWW's website at moraviancww.org. The 2018 Moravian Daily Texts are ©2017 by IBOC Moravian Church in America, used with permission. You can learn more about the Moravian Daily Texts, purchase a printed copy or subscribe to the Daily Texts e-mail by visiting www.moravian.org. Purchase a printed copy of the 2019 Moravian Daily Text at store.moravian.org. Our guest reader today is Rev. Peg Chemberlin, member of Waconia Moravian Church in Waconia, MN and recently retired from the Minnesota Council of Churches. Want to be a guest reader on the Podcast? Sign up today! Visit dailytextpodcast.org. Visit MCWW's website at moraviancww.org. The 2018 Moravian Daily Texts are ©2017 by IBOC Moravian Church in America, used with permission. You can learn more about the Moravian Daily Texts, purchase a printed copy or subscribe to the Daily Texts e-mail by visiting www.moravian.org. Purchase a printed copy of the 2019 Moravian Daily Text at store.moravian.org. Want to be a guest reader on the Podcast? Sign up today! Visit dailytextpodcast.org. Visit MCWW's website at moraviancww.org. The 2018 Moravian Daily Texts are ©2017 by IBOC Moravian Church in America, used with permission. You can learn more about the Moravian Daily Texts and subscribe to the Daily Texts e-mail by visiting www.moravian.org. Purchase a printed copy of the 2019 Moravian Daily Text at store.moravian.org. Thanks to Rebecca Craver, Pastor of the Edmonton Moravian Church, for being our guest reader today! Special episode today with multiple reflections! Want to be a guest reader on the Podcast? Sign up today! Visit dailytextpodcast.org. Visit MCWW's website at moraviancww.org. The 2018 Moravian Daily Texts are ©2017 by IBOC Moravian Church in America, used with permission. You can learn more about the Moravian Daily Texts, purchase a printed copy or subscribe to the Daily Texts e-mail by visiting www.moravian.org. Today's guest reader is Rev. Kurt Liebenow, pastor of Watertown Moravian Church in Watertown, WI. Want to be a guest reader on the Podcast? Sign up today! Visit dailytextpodcast.org. You can also visit MCWW's website at moraviancww.org. The 2018 Moravian Daily Texts are ©2017 by IBOC Moravian Church in America, used with permission. You can learn more about the Moravian Daily Texts and subscribe to the Daily Texts e-mail by visiting www.moravian.org. Purchase a printed copy of the 2019 Moravian Daily Text at store.moravian.org. Today's guest reader is Rev. Rick Beck, pastor of Good Shepherd Community Church in Calgary, Alberta, Canada. Want to be a guest reader on the Podcast? Sign up today! Visit dailytextpodcast.org. Visit MCWW's website at moraviancww.org. The 2018 Moravian Daily Texts are ©2017 by IBOC Moravian Church in America, used with permission. You can learn more about the Moravian Daily Texts and subscribe to the Daily Texts e-mail by visiting www.moravian.org. Purchase a printed copy of the 2019 Moravian Daily Text at store.moravian.org. Today's guest reader is Johanna Heft, Administrative Assistant for the Eastern District, Moravian Church Northern Province and a member of Edgeboro Moravian Church in Bethlehem, PA. Want to be a guest reader on the Podcast? Sign up today! Visit dailytextpodcast.org. Visit MCWW's website at moraviancww.org. The 2018 Moravian Daily Texts are ©2017 by IBOC Moravian Church in America, used with permission. You can learn more about the Moravian Daily Texts, purchase a printed copy or subscribe to the Daily Texts e-mail by visiting www.moravian.org. Thanks to Guest Reader Rev. Kurt Liebenow, pastor of the Watertown Moravian Church in Watertown, WI. Want to be a guest reader on the Podcast? Sign up today! Visit dailytextpodcast.org. Visit MCWW's website at moraviancww.org. The 2018 Moravian Daily Texts are ©2017 by IBOC Moravian Church in America, used with permission. You can learn more about the Moravian Daily Texts, purchase a printed copy or subscribe to the Daily Texts e-mail by visiting www.moravian.org. Today's guest reader is Rev. Kurt Liebenow, pastor of Watertown Moravian Church in Watertown, WI. Want to be a guest reader on the Podcast? Sign up today! Visit dailytextpodcast.org. Visit MCWW's website at moraviancww.org. The 2018 Moravian Daily Texts are ©2017 by IBOC Moravian Church in America, used with permission. You can learn more about the Moravian Daily Texts, purchase a printed copy or subscribe to the Daily Texts e-mail by visiting www.moravian.org. Today's guest reader is Rev. Jason Andersen, pastor of Christian Faith Moravian Church in DeForest, WI. Want to be a guest reader on the Podcast? Sign up today! Visit dailytextpodcast.org. Visit MCWW's website at moraviancww.org. The 2018 Moravian Daily Texts are ©2017 by IBOC Moravian Church in America, used with permission. You can learn more about the Moravian Daily Texts, purchase a printed copy or subscribe to the Daily Texts e-mail by visiting www.moravian.org. Our guest reader this episode is Laura Watson, Director of Stewardship and Development Services for the Moravian Ministries Foundation and member of Home Moravian Church in Winston-Salem, NC. Want to be a guest reader on the Podcast? Sign up today! Visit dailytextpodcast.org. Visit MCWW's website at moraviancww.org. The 2018 Moravian Daily Texts are ©2017 by IBOC Moravian Church in America, used with permission. You can learn more about the Moravian Daily Texts, purchase a printed copy or subscribe to the Daily Texts e-mail by visiting www.moravian.org. Here's a special hump-day, triple-feature, week-in-review episode! Thanks to Peg Chemberlin, member of Waconia Moravian Church, Waconia, MN and Rex Knowlton, treasurer of the Board of World Mission for joining us on today's special episode! Want to be a guest reader on the Podcast? Sign up today! Visit dailytextpodcast.org. Visit MCWW's website at moraviancww.org. The 2018 Moravian Daily Texts are ©2017 by IBOC Moravian Church in America, used with permission. You can learn more about the Moravian Daily Texts, purchase a printed copy or subscribe to the Daily Texts e-mail by visiting www.moravian.org. Thanks to the members of the Provincial Women's Board in the Northern and Southern Provinces for being out guest readers for today. Want to be a guest reader on the Podcast? Sign up today! Visit dailytextpodcast.org. Visit MCWW's website at moraviancww.org. The 2018 Moravian Daily Texts are ©2017 by IBOC Moravian Church in America, used with permission. You can learn more about the Moravian Daily Texts, purchase a printed copy or subscribe to the Daily Texts e-mail by visiting www.moravian.org. Thanks to the Provincial Women's board in the Northern and Southern Provinces for being out guest readers for today. Want to be a guest reader on the Podcast? Sign up today! Visit dailytextpodcast.org. Visit MCWW's website at moraviancww.org. The 2018 Moravian Daily Texts are ©2017 by IBOC Moravian Church in America, used with permission. You can learn more about the Moravian Daily Texts, purchase a printed copy or subscribe to the Daily Texts e-mail by visiting www.moravian.org. Daily Text - October 4, 2018 - Episode 200! Thanks to our guest readers from the Provincial Women's board in the Northern and Southern Province! Want to be a guest reader on the Podcast? Sign up today! Visit dailytextpodcast.org. Visit MCWW's website at moraviancww.org. The 2018 Moravian Daily Texts are ©2017 by IBOC Moravian Church in America, used with permission. You can learn more about the Moravian Daily Texts, purchase a printed copy or subscribe to the Daily Texts e-mail by visiting www.moravian.org. Many thanks to our guest readers from the Provincial Women's Boards in the Northern and Southern Province as they recorded together at their interprovincial gathering! Want to be a guest reader on the Podcast? Sign up today! Visit dailytextpodcast.org. Visit MCWW's website at moraviancww.org. The 2018 Moravian Daily Texts are ©2017 by IBOC Moravian Church in America, used with permission. You can learn more about the Moravian Daily Texts, purchase a printed copy or subscribe to the Daily Texts e-mail by visiting www.moravian.org. Thanks to guest reader Chris Giesler for being our guest reader today. Chris is the Director of Mission Engagement for the Board of World Mission of the Moravian Church in North America. Be patient, and strengthen your hearts. Want to be a guest reader on the Podcast? Sign up today! Click here to learn more and choose your date: goo.gl/forms/RbyFFwvbLA4Bgpii2 The 2018 Moravian Daily Texts are ©2017 by IBOC Moravian Church in America, used with permission. You can learn more about the Moravian Daily Texts, purchase a printed copy or subscribe to the Daily Texts e-mail by visiting www.moravian.org. Want to be a guest reader on the Podcast? Sign up today! Click here to learn more and choose your date: goo.gl/forms/RbyFFwvbLA4Bgpii2 The 2018 Moravian Daily Texts are ©2017 by IBOC Moravian Church in America, used with permission. You can learn more about the Moravian Daily Texts, purchase a printed copy or subscribe to the Daily Texts e-mail by visiting www.moravian.org. Are you afraid? Don’t be. Latest episode of MCWW Daily Text Series. Want to be a guest reader on the Podcast? Sign up today! Click here to learn more and choose your date: goo.gl/forms/RbyFFwvbLA4Bgpii2 The 2018 Moravian Daily Texts are ©2017 by IBOC Moravian Church in America, used with permission. You can learn more about the Moravian Daily Texts, purchase a printed copy or subscribe to the Daily Texts e-mail by visiting www.moravian.org. Thanks to Linda Rabbach, our guest reader for today! Linda is a member of Ebenezer Moravian Church in Watertown, WI, and she also serves on the Provincial Women's Board for the Northern Province. Want to be a guest reader on the Podcast? Sign up today! Click here to learn more and choose your date: goo.gl/forms/RbyFFwvbLA4Bgpii2 The 2018 Moravian Daily Texts are ©2017 by IBOC Moravian Church in America, used with permission. You can learn more about the Moravian Daily Texts, purchase a printed copy or subscribe to the Daily Texts e-mail by visiting www.moravian.org. Today’s guest reader is Rev. Jason Andersen, pastor of Christian Faith Moravian Church in DeForest, WI. Want to be a guest reader on the Podcast? Sign up today! Click here to learn more and choose your date: goo.gl/forms/RbyFFwvbLA4Bgpii2 The 2018 Moravian Daily Texts are ©2017 by IBOC Moravian Church in America, used with permission. You can learn more about the Moravian Daily Texts, purchase a printed copy or subscribe to the Daily Texts e-mail by visiting www.moravian.org. Today's guest reader is Laura Watson, member of Home Moravian Church in Winston-Salem, NC! Want to be a guest reader on the Podcast? Sign up today! Click here to learn more and choose your date: goo.gl/forms/RbyFFwvbLA4Bgpii2 The 2018 Moravian Daily Texts are ©2017 by IBOC Moravian Church in America, used with permission. You can learn more about the Moravian Daily Texts, purchase a printed copy or subscribe to the Daily Texts e-mail by visiting www.moravian.org. Thanks to Rex Knowlton, Treasurer of the Moravian Board of World Mission for being our guest reader today! Want to be a guest reader on the Podcast? Sign up today! Click here to learn more and choose your date: goo.gl/forms/RbyFFwvbLA4Bgpii2 The 2018 Moravian Daily Texts are ©2017 by IBOC Moravian Church in America, used with permission. You can learn more about the Moravian Daily Texts, purchase a printed copy or subscribe to the Daily Texts e-mail by visiting www.moravian.org.